Meet our Newest Team Member, Natan! 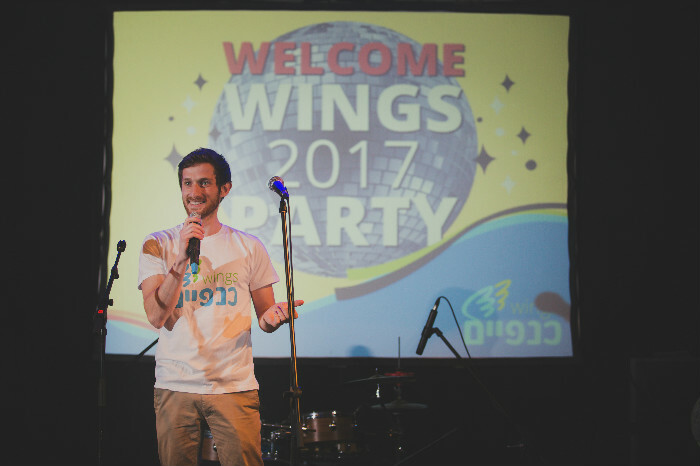 Natan is the new Social Coordinator for the Wings Alumni Network. The programming is being run in coordination with the Ministry of Aliyah and Absorption. Natan made Aliyah from New Zealand in 2013 and served as a lone soldier in a combat unit. Natan participated in the Wings program upon his release from the IDF. "I'm Natan and I made Aliyah from New Zealand four years ago. Being a lone soldier isn't always easy - there are language and cultural barriers along with all of the usual army training and long night marches which are very tough. The army is very challenging, but actually I was quite apprehensive about leaving the army - it was a place that while not always comfortable, provided a rigid framework for my life. Getting out of the army poses all kinds of questions for Lone Immigrant Soldiers - where to live, finding work and what to study? Wings helped me out a lot! I went to the Wings week-long civilian preparation course and it really helped me to integrate into civilian life afterward my release. Wings helped me write a great CV in Hebrew that fits the Israeli job market, and also helped me gain access to some soldier rights before I got released that I didn't even know I was entitled to! I ended up working for Wings after I saw an ad for a job opening that really spoke to me - to be responsible for social and cultural programs for released lone soldiers. Now I'm working with a great team and helping to give back to both current lone soldiers and the organization that helped me so much! Every day I wake up knowing that the work I do can be significant in helping lone soldiers adjust to civilian life and feel part of Israeli society."